Please take the JR Senseki-Tohoku Line or JR Senseki Line. 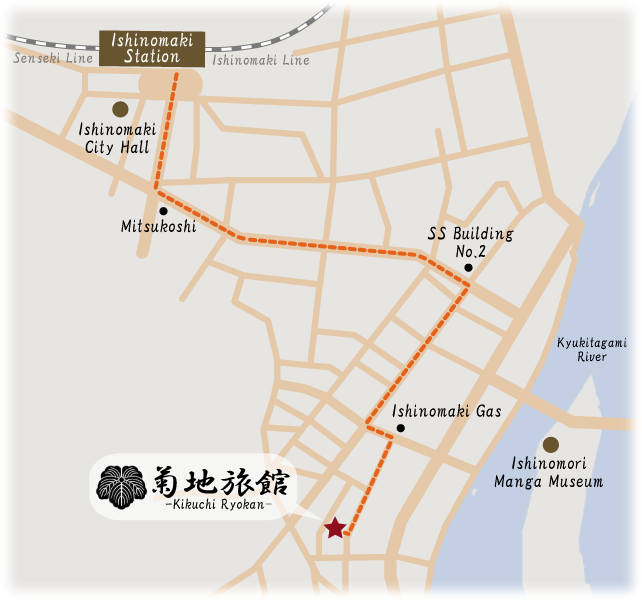 Another possible choice is to use the Miyagi Kotsu Express Bus. Please take the JR Rikuu East Line from Furukawa Station and transfer to JR Ishinomaki Line at Kogota Station. © KIKUCHI RYOKAN. All Rights Reserved.